After shooting himself in the face, Cameron Underwood didn't know if he would ever lead a normal life again. If you’ve ever been given a second chance, you know how meaningful it can be. Cameron Underwood knows that better than most people—he was given a second chance at life. 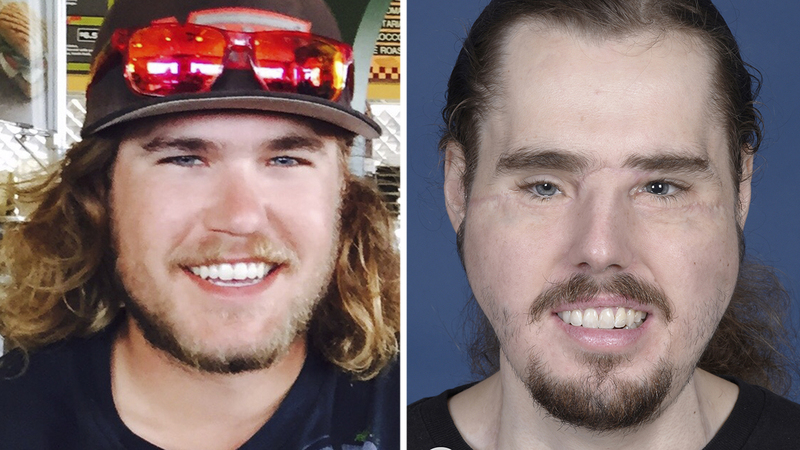 The 26-year-old underwent a face transplant after suffering a self-inflicted gunshot wound to the face. Underwood is from Yuba, California, just north of Sacramento. He grew up in a loving, faith-filled household with a strong and supportive family, but as he entered adulthood, he fell victim to a battle with depression. In June of 2016, the mental illness progressed, and after turning to alcohol to cope, Underwood resorted to severe self-harm. He sustained a gunshot wound to the face, and though he survived, the damage left him missing the majority of his jaw, his nose, and every tooth but one, according to a statement from NYU Langone Health in New York City, where he had his surgery. Despite attempts at conventional reconstruction, Underwood was seriously restricted from leading a normal life. He could barely speak, and he had to eat through a tube. This wasn’t the path he wanted for himself, and it certainly wasn’t the path his family wanted for him. Then, Underwood’s mother, Beverly Bailey-Potter, read an article in the December 2016 issue of People about a groundbreaking face transplant program at NYU Langone Health. She immediately got in contact with the program’s director, Eduardo D. Rodriguez, MD, who would soon become the one to give her son his second chance. Though Dr. Rodriguez and his team would perform the procedure, there was another person who would play perhaps an even more instrumental role in Underwood’s transplant: the donor. On January 4, 2018, after Underwood had been on a waitlist for six months, a donor was found. His name was Will Fisher, pictured below. 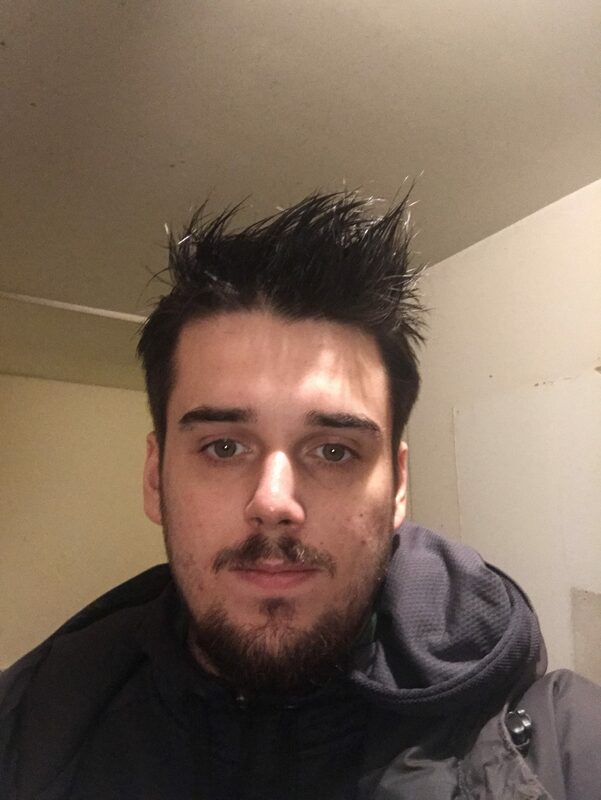 He was a 23-year-old Manhattan resident and student at Johns Hopkins University, who was also a chess champion, filmmaker, aspiring writer, and, of course, an organ donor. As soon as Underwood received the call, his family packed up and left for New York. It was in the middle of a "bomb cyclone" snowstorm, but time was of the essence. On January 5, around 7:30 in the morning, the surgery began. Then, about 25 hours later, Underwood was taken from the operating room with an entirely new face. 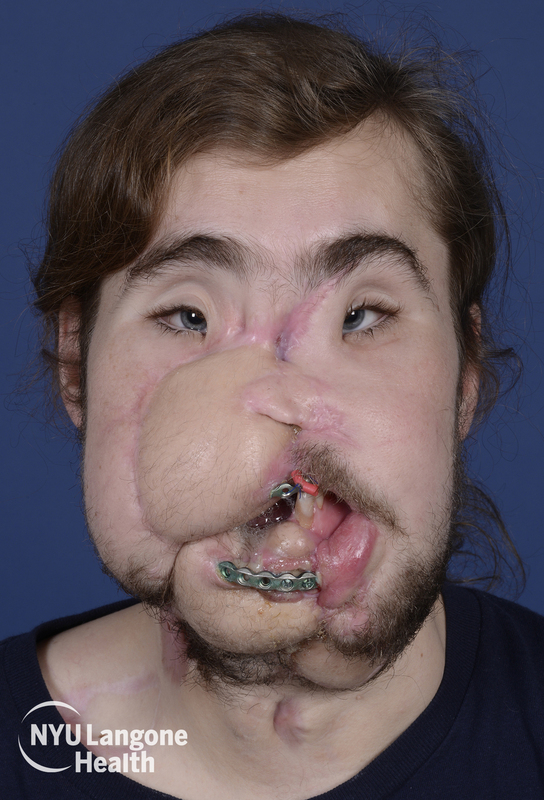 It was Dr. Rodriguez’s third time performing a face transplant and took about 11 hours shorter than his first. But that’s not the only reason this particular case is notable. It was also the shortest period of time from injury to face transplant in U.S. history, clocking in at just 18 months. The case also had one of the shortest-ever wait times for a donor, about six months, as well as significantly less time spent in the hospital than the only other face transplant ever performed at NYU Langone Health. That patient stayed in the hospital for 62 days, while Underwood stayed for 37. After Underwood was discharged from the hospital in mid-February, he stayed in New York for rehab. He was able to return to California by March but still makes monthly trips to New York for follow-up visits. He'll remain on anti-rejection medication throughout his life. Underwood is still learning to use his new face. At a press conference Thursday morning, Dr. Rodriguez compared the feeling in Underwood’s facial muscles for the first few months post-surgery to being on novocaine. His body needs to accept his new face and his brain needs to adapt to it, Dr. Rodriguez said. Underwood now works at relearning how to use his face through physical therapy, a process that could take three to five years.